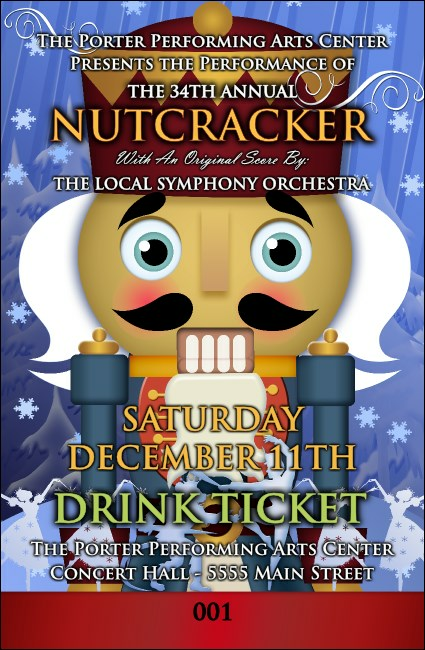 Welcome your guests to an evening of enchantment with Uncle Drosselmeyer, Clara, and Fritz when you give them Nutcracker Ballet Drink Tickets for your next performance. Each beautiful ticket template features a detailed picture of the nutcracker’s face on a blue background accented with light blue snowflakes. Set the scene with TicketPrinting.com.